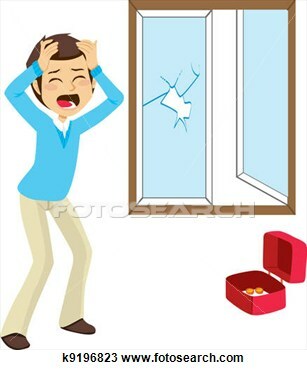 A clip art representation of how I felt this morning when I realized I’d have to pay to get the window fixed (clip art from pixgood.com). As for me, I’m feeling guilty, but I am also extremely angry. I put up with that cat clawing up my arms, jumping on me in strategically sensitive areas while I slept, and meowing in my face whenever he wanted something for 17 years, and THIS is the thanks I get? Does he not CARE how much money I’ve spent on vet bills, cat food, kitty litter? How I’ve scooped litter boxes every day so he would have a clean place to poop? How I had to watch the door every time Rumpy and I went out because June Buggie was going to try to run out with us? How I chased him whenever he DID get out, because once he was out there, he was scared to death? How I’ve met his insatiable desire for cream by giving him a little every morning, even though I know it really isn’t good for him to ingest that stuff? So if the little ingrate wants to try to find some greener grass somewhere else, let him have at it. At least Rumpy still loves me. The last thing June Buggie wrote is that he’s met someone new on Facebook and he’ll be moving in with her. Her name is Lirpa Loof. « Sign! Sign! Everywhere a Sign! Lirpa Loof? thats a special paw cream, right? It was smartto take the food and the kitchen towel with you June Buggie… I probably would furget the food… or the kitchen towel LOL GOOOOOOOD ONE! Shhhhh!!! June Buggie hasn’t read the post yet. We hope he doesn’t get any ideas. Man! You got me too! Like June Buggie would ever explain ANYTHING! You had me going there for a while until I realized what day it is. Good job! Nah, and he’d never leave a note that i could read…… unless it was scratched into my arm with his claws. Lirpa Loof?!!! He’ll be back for the rest of the kitchen stuff. Mark our barks. I was surprised he took the cans, since he can’t open them without assistance. Let’s hope Lirpa Loof can lend a hand. I think June Buggie will be seeking revenge when he reads this Lirpa Loof! Hopefully he won’t see it for awhile. GAH! Ya got me! Whew! Sounds like something Buggie would do, huh? Hope June Buggie has a sense of humor…he may sneak over and double lock the door while you’re outside as revenge (and sit in the window looking smug while shredding something important.) Molly ran to the window to look for the lost cat…I keep telling her it’s April Fools, but she’s not budging. Tell Molly all is well, and I’m making sure my keys are in my pocket whenever I go outside. You mean after all we’ve put up with from him in those 17 years? Whew! I’m SO relieved that this is an April Fool’s thing! I was getting more and more panicked with every word I read until the end. I hope Rumpy isn’t too disappointed! Well, June Buggie IS a smartypants, but he isn’t that smart. April fool!!! You got me! I was feeling very sad .. Phew! 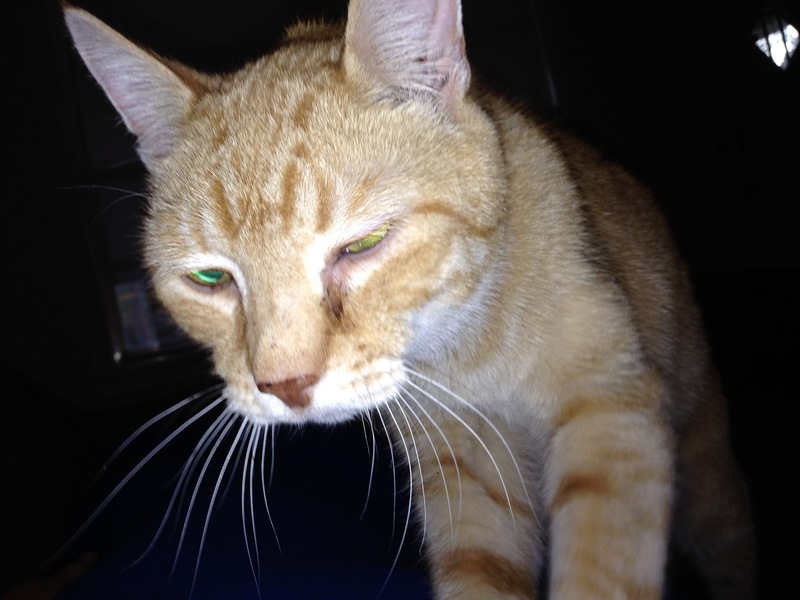 Rumpy asks if JB can come live with you. OMC! We were already making a #pawcircle for our furry friend by the time OurGirl finished reading the post! What a relief! Next to the day Daylight Time starts, today is her most un-favorite day. It’s her excuse for staying in bed til tomorrow. But now she can get up and give us extra-tasty noms to celebrate instead. Hugs & love to all, esp. Bad Boy Buggie! That’s for sure- he knows how good he’s got it! JB strikes me as the type to just leave you wondering! Not Jen. I got very upset and sad as I read your post. You did use the [pst to vent about every thing you did for June Buggy. I’m glad it was a joke. He does piss me off sometimes. We knew better than believing this story. I confess to forgetting it was April Fool and my heart clutched. I was so glad to get pranked! Smiles, rubs, and hugs to you all. Hahahaha! Good one, Jen! Happy April Fool’s Day! You got me! But, I was so happy June Bughie was still there! THAT is not funny! I sat here crying my eyes out………….only to finally learn from the comments that you were JOKING!!!!!!!!!!!!!!! This is very cruel. You are silly If you believed THAT!